One of the biggest problems that teachers face is providing prompt and useful feedback to students. When 200 students all hand in a piece of work at the same time, it can take over a week of solid marking time (9-5 for 5 days) to adequately assess all of those assignments. Meanwhile the students would like to know what they have done wrong and how they can improve, and in an era of immediate communication over a week can feel like a long time! What I will advocate here is a style of feedback that does not replace that in-depth marking, but can be a useful, complementary tool. 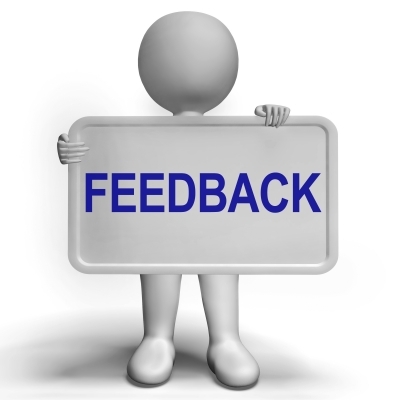 I suggest that teachers try to use audio or video recording as a way to provide general feedback immediately following an assessment. This doesn’t have to be based on an overview of all the work that has been handed in, but can be indicative of some of the patterns that emerge as teacher works through the assignments. One quick and easy way to provide large amounts of detailed feedback without having to sit down and type is to record oneself speaking. There are a wide array of approaches that can be used for this. Smartphone or tablet – Many smartphones and tablets come with a voice recorder app, but if not then such an app can be downloaded for free. Obviously smartphones have a microphone built-in, or hands-free kits occasionally provide better audio quality. Computer – If you would rather record directly onto a computer then you will need a microphone to plug into the machine (often university departments have a small number for rental for this purpose). There is an excellent piece of computer software called Audacity (http://audacity.sourceforge.net/) that is completely free to download, and this program can be used to record and edit audio files. Webcams – You can record directly onto a computer using a webcam (but beware that these vary wildly in quality) within the Windows Live Movie Maker. This free piece of software ships with most versions of MS Windows and can be used to capture video from the webcam. Video camera – I’m not talking about an enormous, tripod-mounted beast of a camera. There are a range of very effective cameras the size of a mobile phone (often called “pocket camcorders”, such as the Kodak Playsport) that do a good job with the minimum of fuss. When teaching a large class (>100 students), a teacher needs to be able to provide rapid feedback on important aspects of an assignment. The teacher is able to mark 15 scripts in the first day, and attempts to draw out some of the general themes (both parts done well, and parts with room for improvement). Using their phone, the teacher records a 10 minute voice recording discussing three good points and three bad points from the initial round of marking. The students can benefit from the personal touch of having a voice giving feedback rather than (nearly illegible) scribbles, and can gain greater understanding of the feedback by virtue of the intonation in the speaker’s voice. The audio file can then be uploaded to the learning management system in advance of the more-detailed, individual feedback.